The latest ⭐ Rulli Bros Ad 4/1/19 - 4/6/19 is available. Browse the current ✅ Rulli Brothers Weekly Specials April 1 - 6, 2019 on this page and use the store locator to find your local grocery store. For three generations and counting, Rulli Bros. has been family owned and operated, providing low prices and high-quality meats and produce to people in the Austintown and Boardman areas. Rulli Bros. brings in fresh, quality produce EVERY DAY! You won't believe the quality and prices! Also, Rulli Brothers offers a range of gift certificates and cards for sale. Save even more while shopping at Rulli Bros. by viewing the weekly specials here. 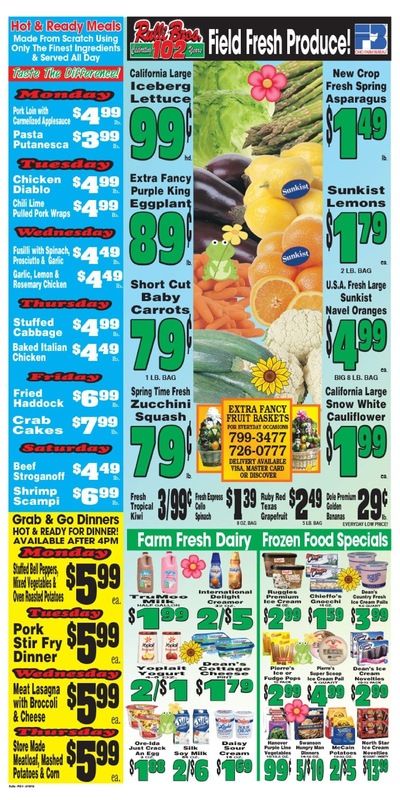 Don't forget to find the latest deals on Rulli Brothers Weekly Ad and save on deli, seafood, bakery, meat, and other. Checkout Rulli Bros sale ad for this week, save and start saving today. 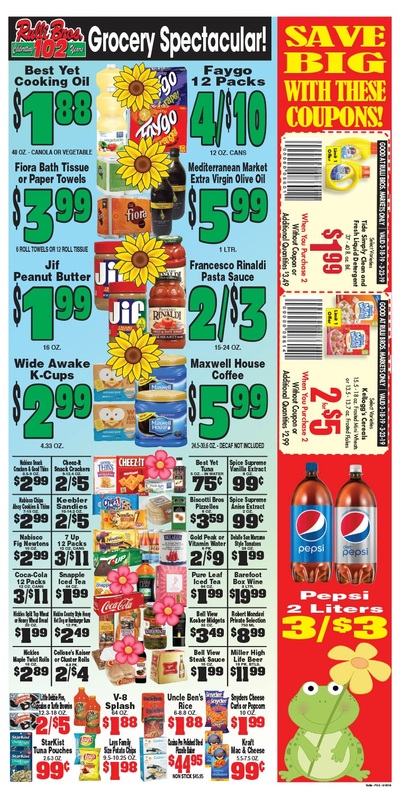 Rulli Brothers Ad for this week valid for Austintown and Boardman. Check back this page weekly to get the latest circular from Rulli Brothers.